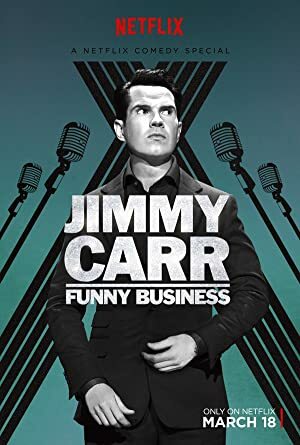 Jimmy Carr: Funny Business (2016) – What's New on Netflix Canada Today! British comedian Jimmy Carr unleashes his deadpan delivery and wickedly funny one-liners to a sold-out audience at the UK’s Hammersmith Apollo. A man, with an incredibly stupid laugh, tells jokes to an audience.